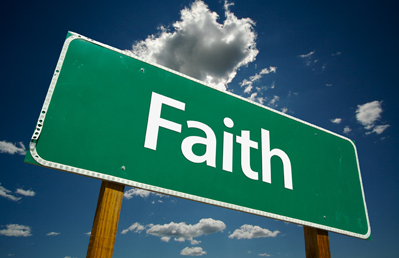 Hebrews 11: Now faith is confidence in what we hope for and assurance about what we do not see. How do I integrate my service with my faith? Does having a stronger faith mean I need to go to church more? 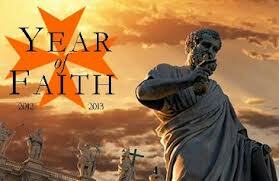 What’s the Year of Faith all about, anyway? If you have questions about the Year of Faith and what your own faith is all about, you’re not alone. Thousands of self-professed Catholics might be caught scratching their heads in response to the Church’s proclamation, having fuzzy ideas about what the year really is all about, asking similar questions themselves…or not asking anything at all. And this group of Catholics are exactly who Pope Benedict XVI is looking at when proclaiming this the Year of Faith. Starting October 11, 2012 and lasting until November 24, 2013, the Year of Faith will correspond with the 50th anniversary of the Second Vatican Council and the 20th anniversary of the Catechism of the Catholic Church. Through it, the Pope and the Church invite Catholics–whether priests, religious, lay men and women or volunteers–to explore what their faith means to them and how to best share it with their communities. Though never on vacation, faith has seemed to be hibernating from many Catholics hearts in the past decade or so. Throughout the world, we seem to repeatedly be hitting the snooze button on the faith alarm—getting up five minutes before mass, sleeping through the sacraments or silencing prayer in our personal lives altogether. “All around us are people who should truly be with us at Mass, who should be with us at church, who should be with us in the parish,” his eminence Donald Wuerl said while speaking at the John Carroll Society’s annual brunch after the Red Mass in Washington, D.C. last Sunday. He echoes the sentiments of the Pope and the Church, who proposed the Year of Faith as a means to re-sound the alarm many Catholics have been ignoring at a volume that aims to jolt us out of bed. But faith is more than a Catholic school education, having a Confirmation name, weekly mass or grace before meals. It’s more than a checklist of “Catholic things to do” every week. It is a constant journey involving a continual affirmation in our belief in God, His Son, Jesus, and His message, spread by the Church. Precisely because it is a continual affirmation, and precisely because it involves our own effort, faith can be hard. Like a foreign language—it must be practiced in order to be strengthened. And considering that sometimes it relies on more than just your own effort (Read: God’s grace), you may be wondering how to even go about having this faith that seems so elusive. The Pope and the Church have taken it upon themselves to simply remind us of this commitment to our faith and the joy it brings while also providing resources to help you get there. “What the world is in particular need of today,” Benedict XVI wrote, “is the credible witness of people enlightened in mind and heart by the word of the Lord and capable of opening the hearts and minds of many to the desire for God and for true life, life without end” (Porta Fidei n. 14). Enthusiasm is a crucial word here. Our faith is something we should be excited about…not simply cramming into our busy schedule. We all have individual and special relationships with God, we all express our faith differently, but we come together in community for the sacraments and to celebrate mass as a means of committing ourselves not only to a loving God but to one another. We should be tired of looking around mass and seeing glazed eyes, hearing robotic replies or noticing vacant seats, not tired of the mass itself. Let’s allow ourselves to fall in love with God, to fall in love with our faith and to stay in love in order to share Christ’s joy and abundant life with our brothers and sisters. Stay tuned to hear about some resources for the Year of Faith!